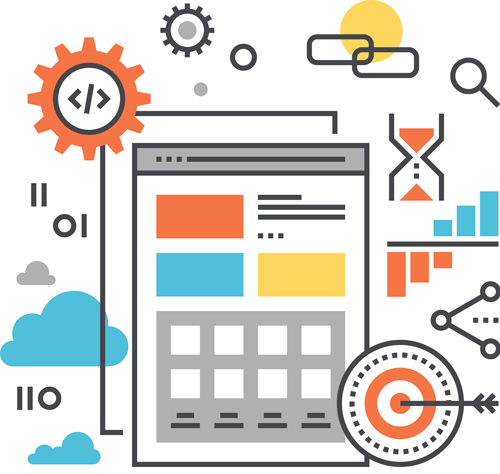 Our expert team of Website Developers and Digital Strategists use the latest technology and best practices to create custom websites that increase user engagement. ABC Digital provides a WordPress support service. We take the hassle out of maintaining your site and make your site as secure as possible. Can’t quite find the perfect WordPress Plugin that meets your needs? Contact us and see how we can help. You want to develop your website presence? Our website guidance will help you have a web presence that will promote and help grow your business. We’re an Irish based web development, digital marketing and SEO company. Our head office is in Co. Clare, Ireland. We provide services all over Ireland, including Dublin, Cork, Galway, Laois, Wicklow, Limerick and Clare . For over 10 years we’ve produced robust, fast loading, cutting edge, local and international websites. We love pushing the boundaries of html and responsive design. Our core clients are web designers, start-ups, SME’s and International companies both in the Ireland and oversees. ABC Digital is trusted by businesses big and small across Ireland. We work with a wide range of clients from famous Irish and international brands to SME’s. We believe ourselves to be a leading website development company. Since day one, ABC Digital has sought to bring simplicity and customer engagement to the sites we create. ABC Digital is committed to being an ethical agency. We have a reputation for being honest and trust worthy with a long list of happy clients. With many clients working with us for many years. Speed, usability, functionality; our web development service keeps your website at the top of it’s game. From a trusted CMS (Content Management System) to responsive designs, our web development team use their technical skills and industry insights to help you reach your full potential on the web. Want to find out more about why ABC Digital is considered by many to be one of the best website development and support companyies in Ireland? Give us a call. We’d love to hear from you.